A great big thank-you to everyone who has added to our list of rather fine motion graphics - Alistair has been sellotaping all the suggested films into his collection of favourites on YouTube, so do take a look. If you know of any other bits of great typographic film, just sling the links our way. And if that whets your appetite, you might want to take a look at the decidedly brilliant Uncredited book by Gemma Solana and Antonio Boneu. 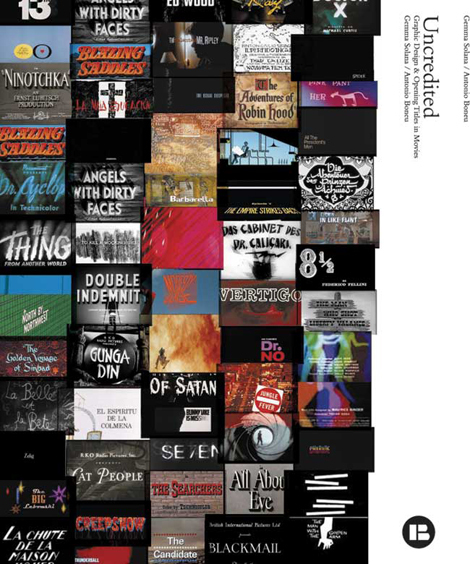 A comprehensive collection of graphic design and opening titles in movies, it features a simply staggering amount of work from the greats of title design, and even has a disc with a stack of QuickTime movies of those titles (though it would have been fantastic if it had been a DVD instead).